Longtime resident of Cleveland, Texas, Barney Strickland, 85, passed away on Monday, January 8, 2018. Barney was born on Monday, April 18, 1932, in Falfurrias, Texas, to Barney Gavin Strickland and Carrie Mae Strickland, both whom have preceded him in death. 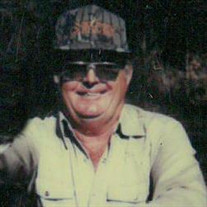 Left to cherish his memory is his loving wife Aline Joyce Strickland; sons, Rodney Cameron Strickland, Travis Ray Strickland, Marlin Eugene Strickland; sister, Daphne Mae Strickland Lain and husband Joe; grandchildren, Nathan Strickland, Rod Lee Strickland, Cody Travis Strickland, Amber Nicole Adams and husband Nolan, Amada Lynn Strickland, Bruce James Strickland; great-grandchildren, McKenzie Adams and Mavrick Adams; along with numerous other loving family and treasured friends. Barney was a member of International Union of Operating Engineers, Local 406, Shreveport, LA, Local 450 Houston, TX, and Local 178 Dallas, Fort Worth, TX. Barney was a mason with Tarkington Prairie Masonic Lodge #498. Visitation for Barney will be held at Neal Funeral Home on Thursday, January 11, 2018, from 5:00 p.m. to 8:00 p.m. Funeral Services for Barney will be held at Neal Funeral Home on Friday, January 12, 2018, at 10:00 am. Interment for Barney will immediately follow at Wells Cemetery. Reverend Wayne Whitmire officiating.